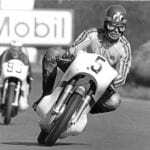 Ariel’s 1000cc Square Four was famous for its instant acceleration. Would this rare and meticulously rebuilt 1948 iron-engine 4G justify the reputation? “The 1000cc with the astronomical acceleration – the Monarch of the Multis.” That was how Ariel’s own publicity in 1947 described the 4G Square Four. Equipped from mid-1946 with Ariel’s telescopic front forks, the Square Four was one of only two full 1000cc production motorcycles to emerge from the British industry following the Second World War. The Square Four name played on a then-popular brand of pipe tobacco, ‘Four Square’. The machine was, and was intended to be, unusual, even sensational. It was also a rare sight on the UK roads of the day, since in the midst of the ‘export-or-die’ era, most 4Gs (apparently including all the ones featuring the optional Anstey link rear suspension) went abroad, to Commonwealth countries, and to North America. 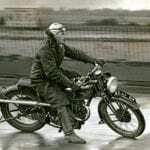 There the West Coast BSA importers Alfred ‘Rich’ Child, and from 1949, San Francisco-based ‘Hap’ Alzina, were enthusiasts, with Alzina later selling Square Fours to the police in neighbouring Monterey and elsewhere. American riders loved the big cubes of the ‘Squariel’s’ engine, and the long, smooth highways played to its strengths. When the model was withdrawn in 1959, Bob Currie wrote that Americans came over to the UK to scour dealers and scrapyards for remaining examples. Export ate into an already low production figure; just 919 Square Fours were made in 1948, though that was a healthy percentage of Selly Oak’s total production that year of 7517 machines; Ariel were a firm known for quality, not quantity. Another way this example is unusual is that it’s a solo roadster. 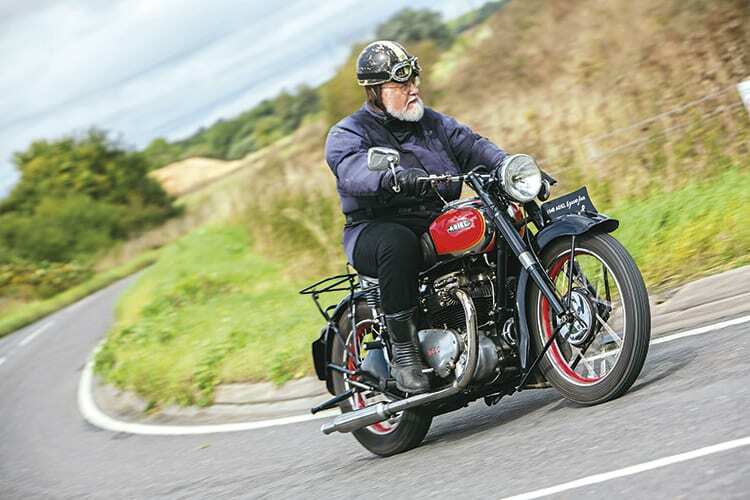 The Square Four’s handling – both the rigid versions and those equipped, for an extra £15, with the optional Anstey Link rear suspension, with its two inches of movement plus a justified reputation for rapid wear – meant that what the late Cyril Ayton recalled as a combination of “roly-poly handling and zestful performance” made it a natural choice for the sidecar man. As a 1950 Square Four test noted, there were two types of sidecar users: the family man who rode to work and used his combination for weekend outings; and a smaller group of hard-riding enthusiasts, who wanted an outfit offering the performance of a 500cc solo, with 60-65mph cruising, plus the ability to cover long distances. The Motor Cycle judged that: “The Ariel Four has traits that would make it eminently suitable for both.” These included an imaginable if not readily affordable price. A 1947 4G cost £228-12s, against a VH Red Hunter single at £168-18s, and a 1948 KG 500 twin at £185-8s. This contrasted sharply with the other British 1000, Vincent’s twin, with a price tag for the Black Shadow of a few shillings more than £400. And with the Ariel, for your money you still got an outfit with 70mph performance, far superior to most popular cars of the era. Barry Winter is a skilled engineer, retired from the Environment Agency where he worked on sustainable drainage projects, often for motorway bridges. 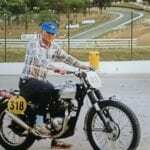 An enthusiast and VMCC man, he bought the 1948 Square Four in kit form from his brother. The latter had purchased it in the early 1960s, but the last tax disc is for 1959, as the brother and his friends decided to completely dismantle the Ariel and unsurprisingly, that was how it stayed, until Barry acquired it some years later, for £15. After a careful laying out of parts, he discovered he had about 80% of the bike. 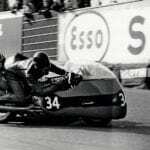 Barry was methodical, and after undertaking background reading, taking advice from his Ariel OC friend Ben Mitchell, and acquiring both the club’s written guide and the necessary special pullers, he fully dismantled the engine. Things looked good, but to check, he took it to local engine renovation specialists F J Payne Engineering (Tel: 01865 882299), who decided that new big end shells were needed. 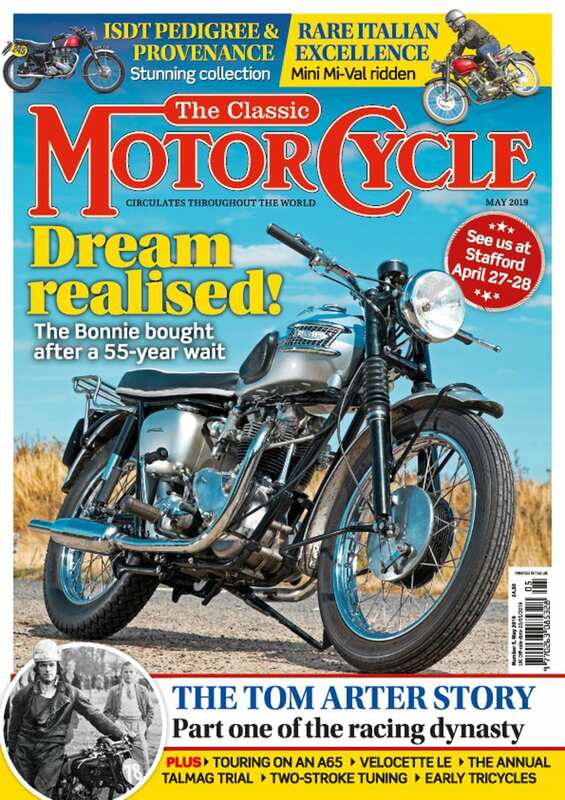 Luckily for Barry, the 4G for 1948 had replaced the previous white-metalled big ends – which owners confirmed did not last long, and today are harder to reclaim – with shell-type big end bearings. Barry fitted the shells himself, as well as machining the original pistons to take new rings from Draganfly (Tel: 01986 894798). “Doing the engine myself was very satisfying,” he recalled. The best known and recurrent problem with Square Fours was blowing head gaskets, mainly due to the underlying bugbear of overheating. The club has come up with a solution for the gaskets, which Barry resorted to after first having tried a copper one. This had leaked badly, with oil coming from the join between the pushrod tubes and the head. So Barry tried the club’s laminate construction Otto head gasket, for which they provide a written guide to fitting. The gaskets are used in combination with heat-proof mastic. Barry also added: “I was very careful to check all the gaps on the complicated rocker box, and use gaskets to suit the gaps.” The result has been an oil-tight engine for 2000 miles. Barry also fitted a Morgo oil pump, making suitable changes to the pressure adjuster on the side of the timing case. The Burman gearbox had been dismantled “down to the last clip”, and another friend, John Cursley, helped Barry check what he had in the gearbox against Draganfly– and club-sourced manuals and assembly diagrams. The original Solex carb with its ‘Bi-Starter’ (a choke with a horizontal lever giving ‘on’, midway, and ‘off’ positions) was used. But it proved to provide only 35-40mpg against the expected 50+, as well as the engine cutting out when running downhill, due to petrol, when low, accumulating at the tank’s front, away from the taps; hence the slim red petrol can neatly mounted on the nearside rear. So Barry had the carb cleaned by a friend with an ultrasonic bath, then rebuilt it and sent it to Solex specialist David Jones (Tel: 01526 832858), who carries full spares for these instruments, and replaced the banjo nut connecting to the carb, the thread of which had stripped, with a longer connector nut with more thread. These measures restored decent mpg figures. The rolling chassis was completed, with a blasted and powder-coated frame, the mudguards repainted, the wheels rebuilt with new stainless spokes and hubs, and the forks stripped and reassembled with new springs (those for the 4G were stronger than the ones for the singles and twins). The dismantled magneto, a complicated instrument, due to the distributor on its end to cope with the need for four sparks, was rebuilt by Moathouse Magnetos’ Dave Fisher (since retired). 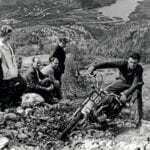 The machine was reassembled, and once Barry had worked out the Solex choke, started first kick. 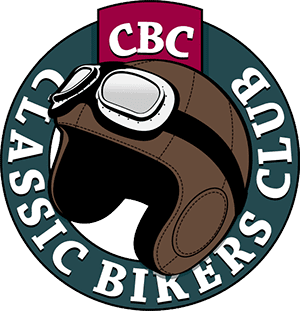 It has taken him to the Manx Grand Prix, to the Loire Valley, and regularly on the VMCC Weymouth Run, where it won a shield, to go with its third place award in Classic Bike’s 2012 Rebuild of the Year. There were some shakedown problems. The engine was using excessive oil, lost through the valve guides, which on the Square Four were prone to uneven wear. Barry fitted car ‘top hat’ guides with seals on the top, turning down the bottom rings as well as the seals to fit. This improved matters. The 4G may not be the most used machine in Barry’s garage, but when he does take it out, he finds it consistently enjoyable. The 4G with its modest 5.8:1 compression, and four 250cc cylinders, required only low pressure to start, and in this case did so second or third kick. With the Solex Bi-starter moved to the mid-position and then off, we were away. But not before I’d stood behind the Square Four as Barry restarted it, and relished the gloriously solid wall of sound as it came to life. The clutch was smooth but the gearchange into first proved to be on the agonized side of crunchy (meanly, I later noted that Barry also had noise issues getting into gear from neutral). And moving off was disorienting – the weight distribution was unusual, the front end felt alarmingly loose, and the power to propel the 4G’s weight forward seemed lacking. But after less than a mile the power was there – I probably hadn’t let the engine warm up enough on the Bi-start – and at some temporary lights I tightened down the steering damper half a turn, and thereafter the front end felt fine. Another mile and the engine’s uneven chugging had settled down, and I began to relish the pleasing, solid handling at low and medium speeds, threading our way through a village and out into the lanes. First I checked the brakes, seven inch sls front and rear. The front one was good, but the rear brake pedal was tucked in very well, and proved not really worth locating! Though used together, allowing for their era, the anchors were adequate. The gearchange was still on the noisy side, repaying a deliberate approach, so I took this as an inducement to test the legendary flexibility of the engine. I did wind the Four up to 60 in third, but the already noisy engine didn’t sound happy, so I kicked down into top and stayed there. And the urge was there. Slowed to 40 or even 30mph, on twisting the longer-than-average-action throttle the power surged in immediately, seamlessly, in a really satisfying and enjoyable manner. Comparisons really are odious, but I would have to say that a Mk.II I once tested, with its more efficient SU carburettor, higher compression and 42bhp output, had provided even more of this phenomenal top gear responsiveness, but the 4G was no slouch. Reeling in the traffic ahead, the power felt endless. Read more in the January issue of TCM – on sale now!